I don’t know if it’s the fact that my schedule has gone from mach 1 to mach 2 lately or if when I am busy, busy, busy I don’t really want to spend a lot of time getting ready but I still want to look like I did. Either way my minimalist fashion heart is in full swing. I am loving this season’s clothes so much that I am purging my closet (as mentioned last week) to make room for a few new pieces and to create a workable, wearable wardrobe. In my last house I barely had a closet, I know, I know that is what everyone says….but really..my 1930’s little bungalow of a house had what would today be equal to a coat closet as a bedroom closet. Not to mention the fact that it was so shallow that the hangers had to be turned on an angle just to close the door. So now that I finally have what I would categorize as a modest but functional closet I don’t want anything in it that I don’t use and wear regularly. If you are feeling the minimalist vibe that I have spoken of so often, here are some of my favorite easy breezy pieces of the moment. And the perfect street look that inspired them. 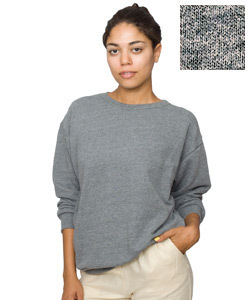 I caught this sweatshirt and trouser look on Refinery 29. There is something about a good sweatshirt that brings out the inner “Flashdance” in everyone. 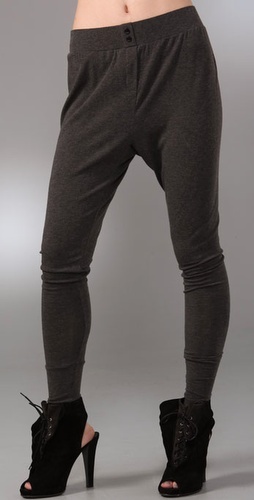 But this season sweat clothes when done right can be fabulously chic and amazingly cool. In this photo Liz put together a trouser pant and casual sweatshirt mix with bohemian accessories. Try American Apparel’s Unisex Drop Shoulder French Terry Sweatshirt. It’s affordable at $48 and pairs perfectly with Alice + Olivia Wide waistband pants. 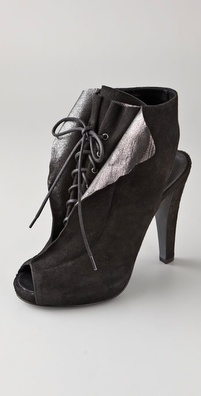 Add a great little black boot like these from Giuseppe Zanotti for Thakoon or some slim heels and throw on a floral scarf and a necklace like this Suzanne Dai Sedona Necklace from charmandchain.com and you are good to go. 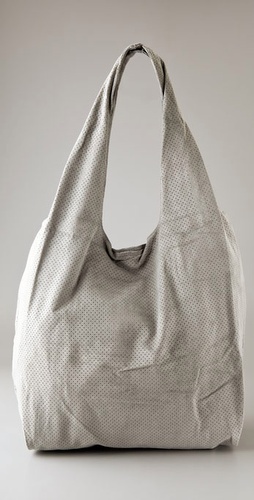 And even though I am rocking the frame bag this season I love this Twelfth Street by Cynthia Vincent Perforated Suede grocery bag (of course that’s just the name…who would dream of actually putting groceries in it? 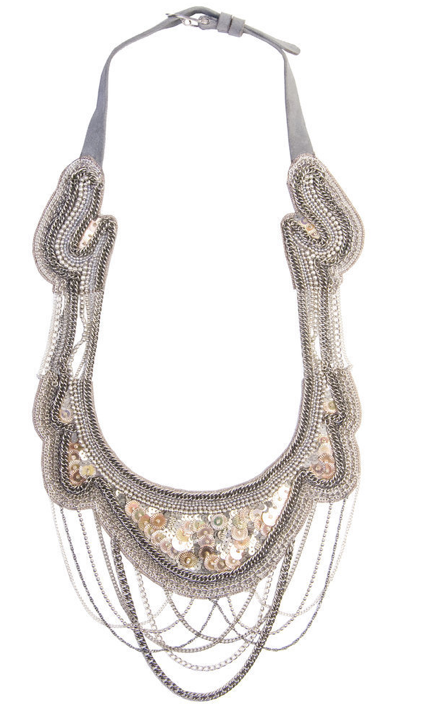 )… it makes for a casual but chic statement. 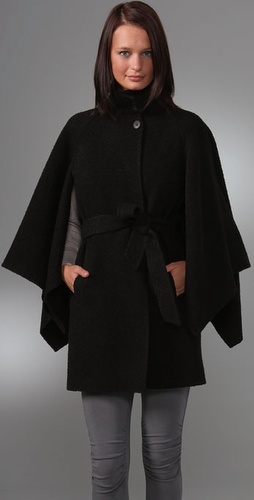 And for those chilly evenings the Carlson Coat by Theory almost satisfies the cape trend without going full on wonder woman.